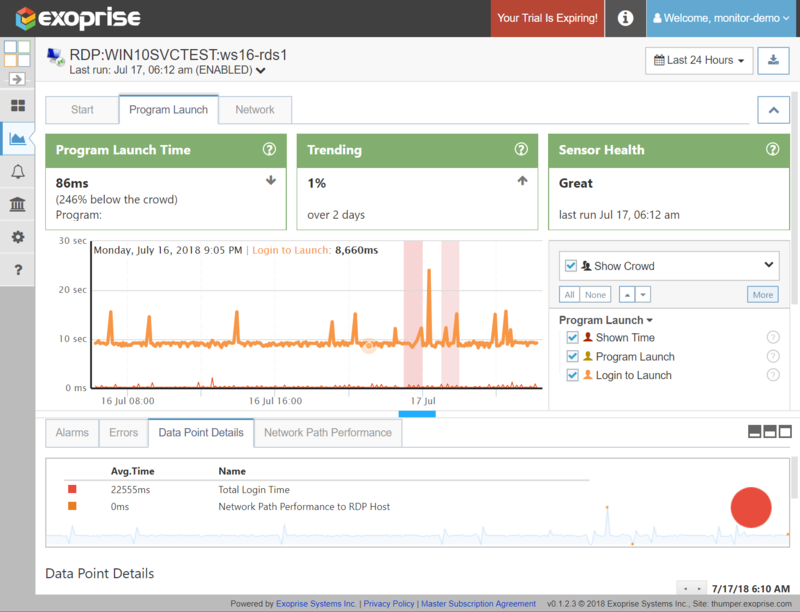 Since the release of the CloudReady RDP sensor for synthetically testing and signing into full VDI and Remote Desktop sessions, Exoprise has had numerous requests for RemoteApp support within Remote Desktop Services and especially for Azure delivery. 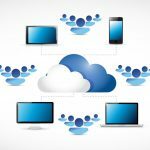 Customers large and small are deploying their thick client applications on Azure with Remote Desktop Services and serve those thick-client applications to their customers and end-users. They want to be able to ensure that their RemoteApp infrastructure is up and running, that the network and hosting is available and they want to ensure that they apps they serve via RemoteApp are bench-marked and meeting SLAs that they commit to for RemoteApp delivery. 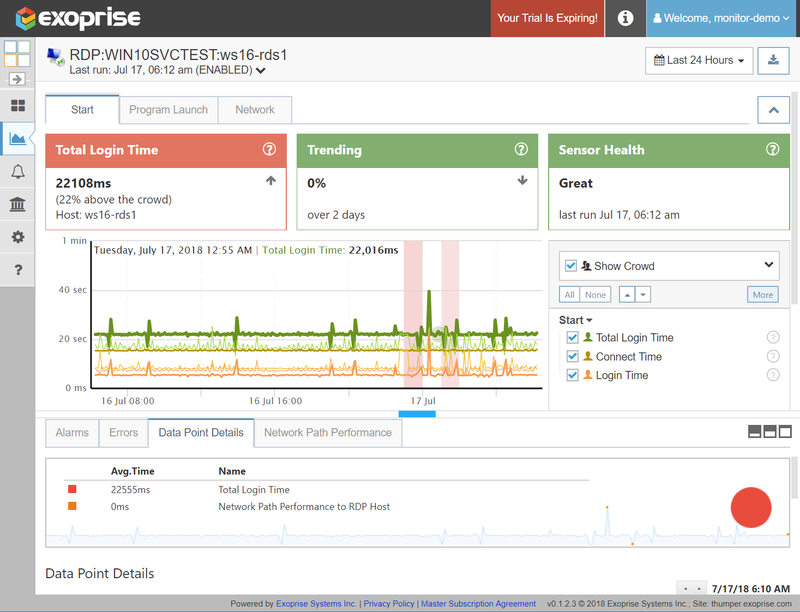 Exoprise recently released an upgraded version of its RDP Sensor will full support for RemoteApp and improved support for VDI sessions. 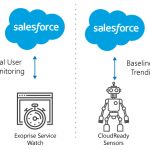 In both cases, the CloudReady RDP sensor can monitor these environments without alteration or add-ins required to be installed in the server – no virtual channels required. The CloudReady RDP sensor launches applications, reads screens to determine their availability and launch times and captures Round Trip Time, Bandwidth and Overall Network Quality while performing these operations. Each step of the transaction is timed and available for alerting and long-term trending. Read on for a closer look. The CloudReady RDP sensor, when configured to use a published RemoteApp, signs into the remote application server, optionally through a Remote Desktop Gateway (RD Gateway), and launches the published RemoteApp. Different arguments can be supplied if the published RemoteApp is configured to support them. Once the RemoteApp is launched the RDP sensor will automatically read the screen and look for text that you can specify. 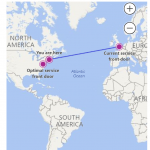 The RDP Sensor can do this once every 5 minutes from locations behind the firewall or out in the cloud and is incredibly easy to setup like the rest of the CloudReady platform. This gives you the ability to synthetically test the entire Remote Desktop Services infrastructure as well as performance monitor the components. 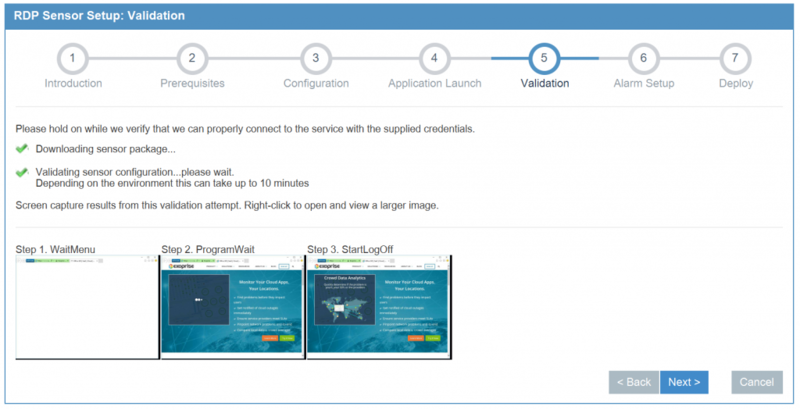 CloudReady RDP sensors can also be used for load-testing an RDS or RemoteApp environment. CloudReady sensor deployments can be scripted. Along with exercising the end-to-end Remote Desktop Services stack, the sensor captures the timings and availability of how long the different operations take. The RDP sensor reads the screen to detect when the application has launched. 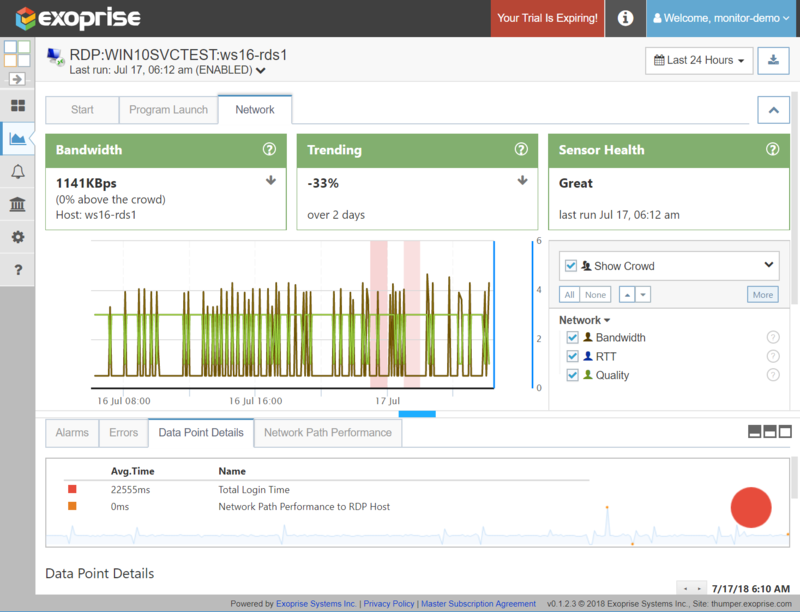 Additionally, many of the common metrics are crowd-sourced like the rest of the CloudReady Sensors so that you can see how your RDS, Terminal Services or XenApp compares to other Exoprise Customer’s environments. This RDS bench-marking capability is crucial to load-testing, base-lining and overall performance tuning. Here’s some sample screens from the RemoteApp Setup and Validation, they’ve been upgraded from the previous screens which you can see here in this blog post How To Monitor Remote Desktop Performance. 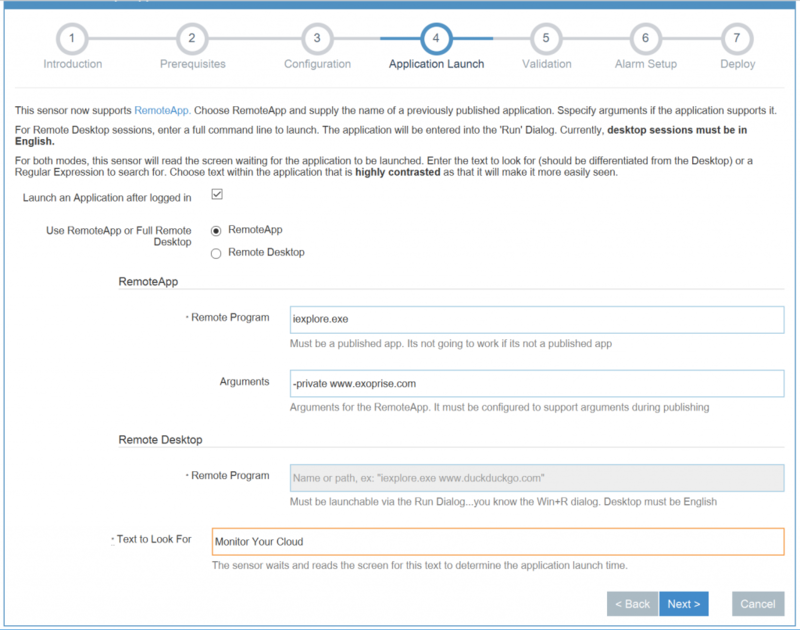 In this configuration step, the application launch, choose whether you want to have CloudReady launch and automate a Full VDI / Remote Desktop session or a RemoteApp published application. Supply the arguments and the text to look for within the application so that the RDP sensor knows when the application has been fully launched. Use unique logins for the account, the RDP sensor requires that it be the only user within a session and not contending with other sensors or users at the same time. In Remote Desktop mode, ensure that that the login is running an English desktop. Support for other languages is planned for the future but, currently, its not available. RemoteApp published applications can be in any language. Choose text within the application that contrasts and is easily visible within the application. An application title can also be chosen. For Remote Desktop mode, its best to have a clean desktop as opposed to a background with lots of icons or wallpaper that may conflict with the ability to read the screen. Interaction with the application is limited, in fact, there is none currently supported. If you want to pass some state to the application then it will be limited to the command line arguments that you can pass to the app. Every CloudReady sensor configuration is validated prior to deployment and for reconfiguration. You can see the various transitions and screenshots for the RemoteApp launch (more for Remote Desktop mode) while the sensor reads the text from the screen to determine that the application is launched. Once you’ve validated the configuration, you can proceed to the next steps where you can configure some initial default notifications for the sensor and then finally onto deploy where you can choose a site that you’ve previously setup. 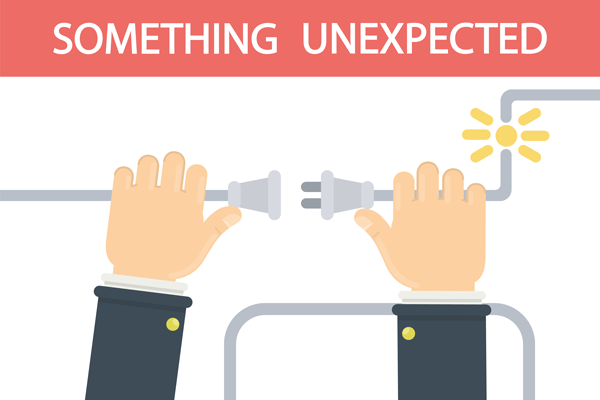 Synthetic RemoteApp / Remote Desktop monitoring setup usually can be completed in a few minutes.